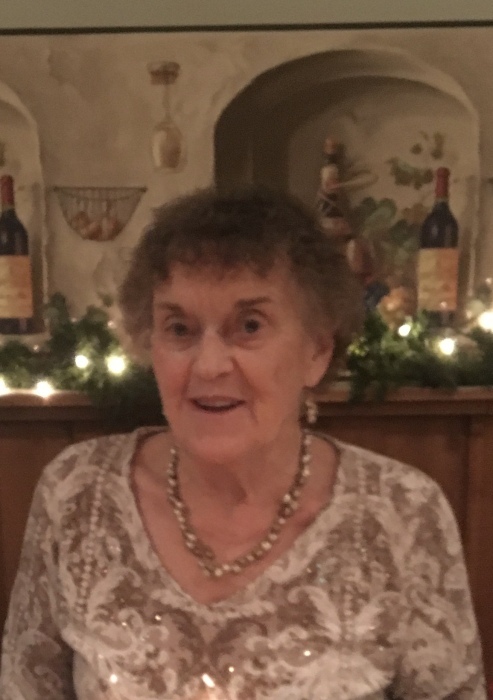 Lucille “Lou Ann” Winter, 87, of Wenona, died March 22, 2019, OSF St. Francis Medical Center in Peoria. Memorial Mass will be 10:00 AM Saturday in St. Mary’s Church in Wenona with Franciscan Friars officiating. Burial will be in St. Mary’s Cemetery. Visitation will be Friday from 5:00 until 7:00 PM in the Hurst Funeral Home in Wenona with a rosary to be recited at 4:45 PM. Additional visitation will be in the church on Saturday from 9:30 AM until time of services. Lou Ann was born in Wenona on February 7, 1932 to John F. And Anna B. (Block) Murray. She married Roy William Winter in June 18, 1955. Lou Ann was a member of St. Mary’s Church and Starved Rock Running Club. She served on the Evans Township Board and she volunteered her time to serving St. Mary’s Church funeral dinners and Wenona American Legion dinners. She volunteered for any activities people needed her time for. Her favorite thing was playing slots with her partner in crime, her sister and best friend, Iva Jean. Lou Ann is survived by her husband Bill of Wenona, two daughters; Nancy (Jimbo) Sunken of Wenona, and Joy (Ed) Weide of Magnolia, four grandchildren; Alaina and Jes Sunken and Derek and Michael Weide, her sister Iva Jean Jaegle of Wenona, a sisters-in-law Sue Murray of Edelstein. She was preceded in death by one son James Winter, nephew Jackie Murray, and two brothers; Jack and Donald Murray.